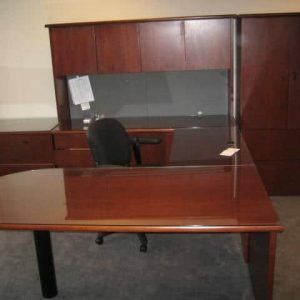 Matching, modern HON L-shape desks with modesty screens lightly used, available in our Dallas area showroom. 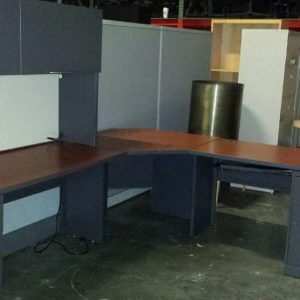 Each desk is in excellent condition and includes a 3-drw pedestal file. 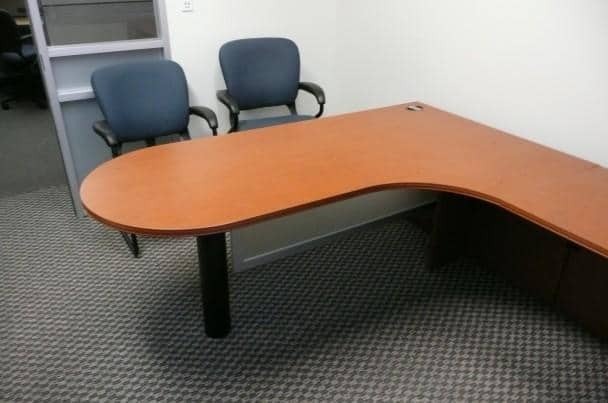 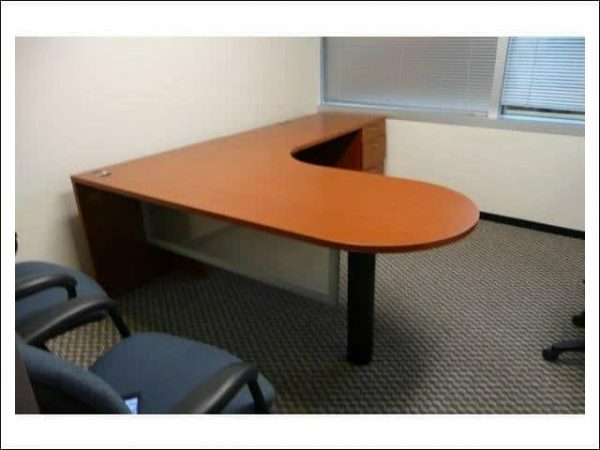 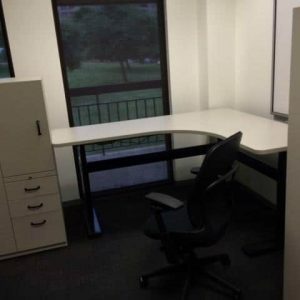 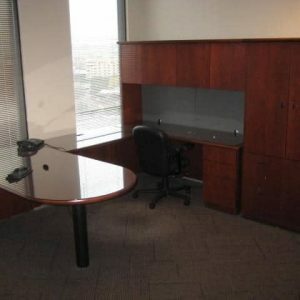 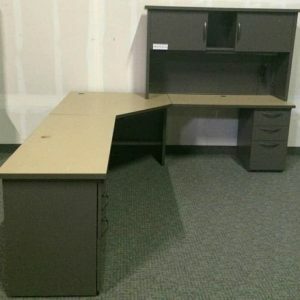 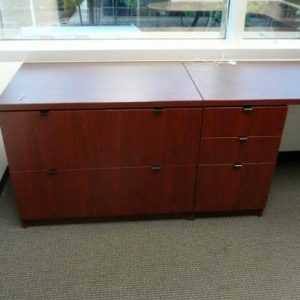 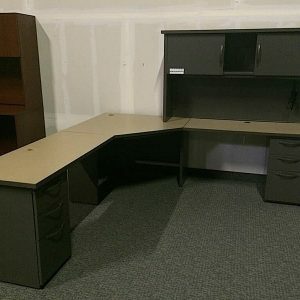 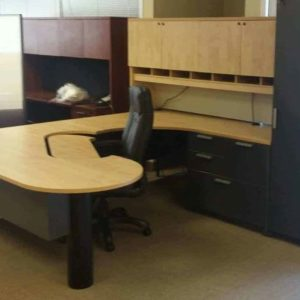 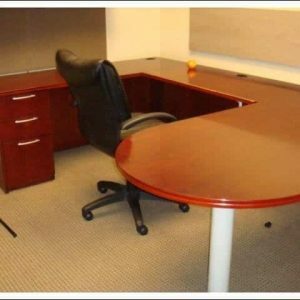 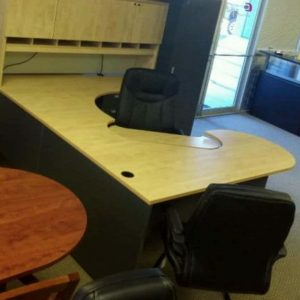 The desk is 30×72 with a 42” extended corner and a 24×48” return. 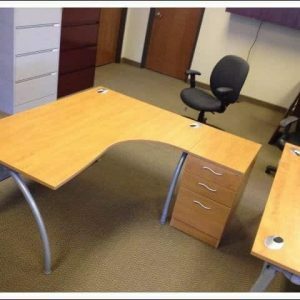 This is a great option for a home office or manager’s desk. 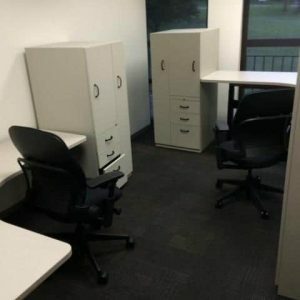 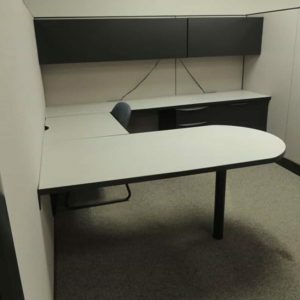 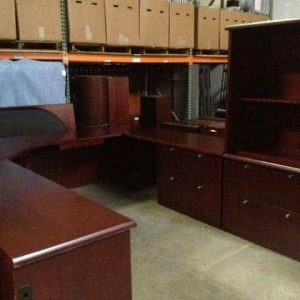 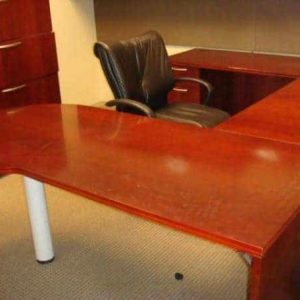 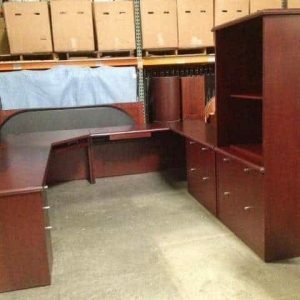 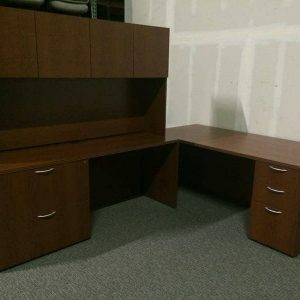 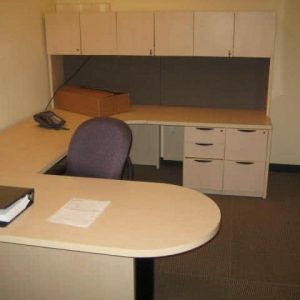 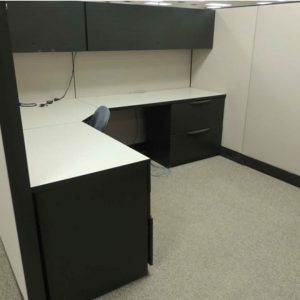 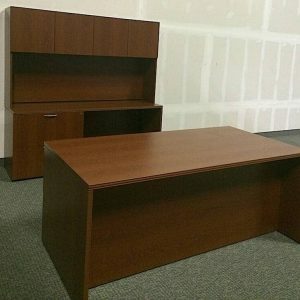 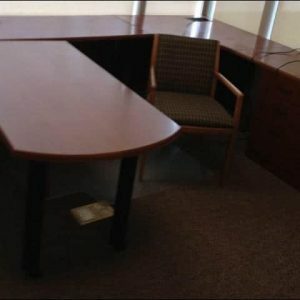 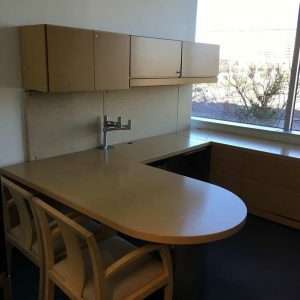 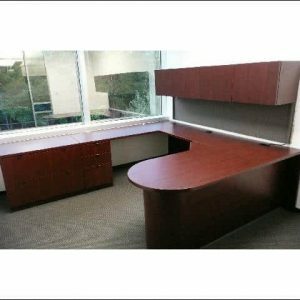 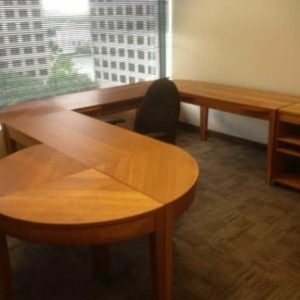 We do offer new matching pieces to round out your office suite.. We offer a huge selection of new and used office furniture in the Dallas/ Fort Worth Area. 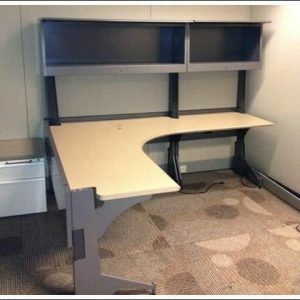 We ship nationwide, and offer Installation anywhere.